Letter E turned out to be really really fun. Because of some personal stuff and a snow day (which cancelled co-op) we spread this theme out for a couple weeks. Henry didn't mind and it actually kept his attention the entire time. On our first tray was a set of color matching eggs. I took some felt and made some eggs in different colors. Then I added some corresponding plastic Easter eggs. Henry could then match the colors to the eggs. 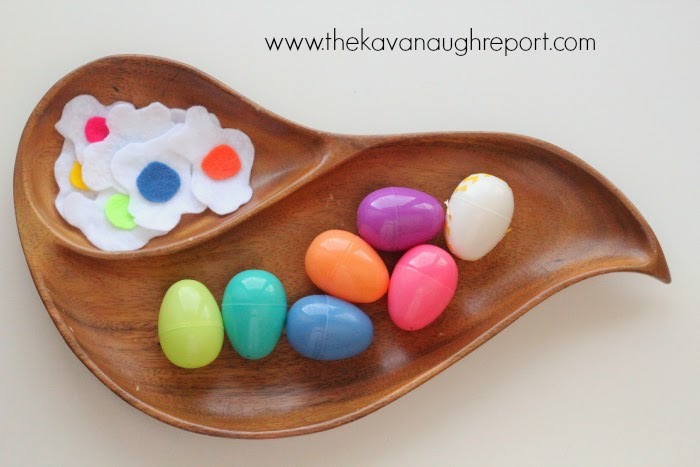 The color matching was the easy part for him, but the fine motor control it took to open the egg, place in the felt and shut the egg actually made this tray kind of difficult. But -- it wasn't so difficult that he wouldn't try, and actually did keep his attention. The second tray was another egg tray. But this time we were using our ears to match sounds. 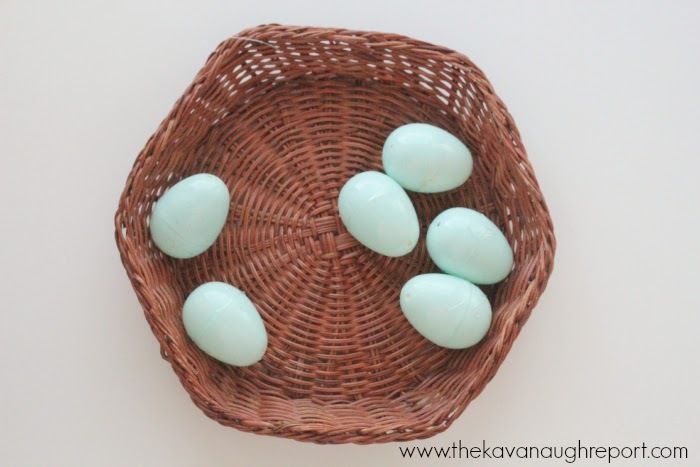 I made a bunch of eggs all in the same color -- I'm going to do a post later this week on how to make them -- with different sound pairs. Then, Henry could match the sounds together. 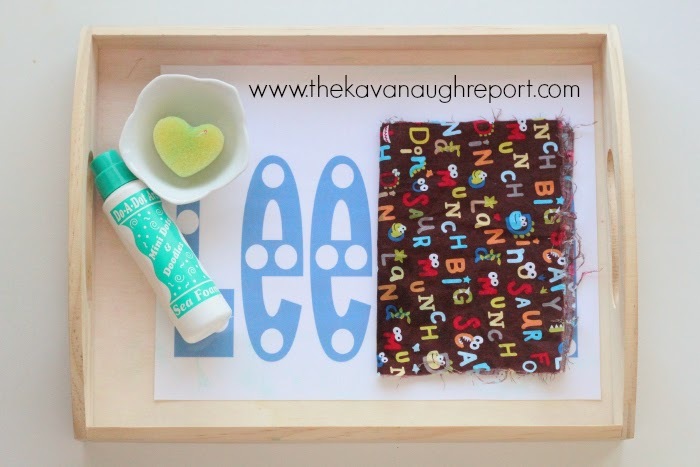 He loved this simple take on a classic Montessori sensorial tray. See a video of this tray in action on Instagram. The third tray was all about the Earth. I found a dry erase map of the Earth from Target awhile ago. Henry is currently obsessed with all things geography, so I made some matching continent cards for him. 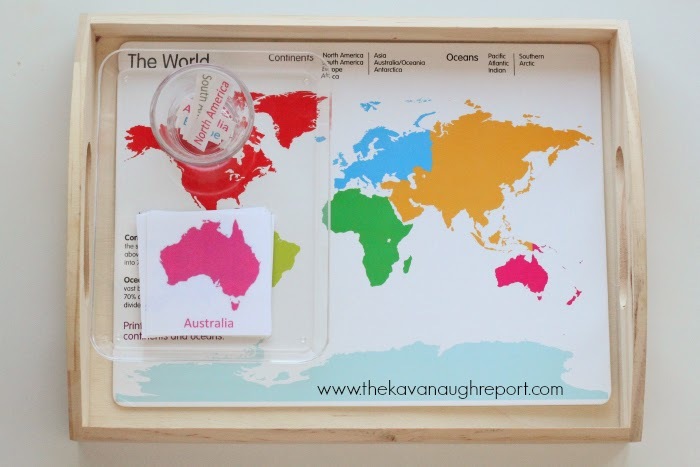 Then he could match the names of the continents and their pictures to the printed tray. He loved this and came back to it over and over. It was one of the little girl's at co-op birthday this week, so I made it her special week. We had two trays dedicated to her. One spelling her name (which includes a couple Es) using velcro and one a classic dot sheet. But instead of pom-poms or something to fill in the circles, I included a washable dot painter, wet sponge and a dry cloth. 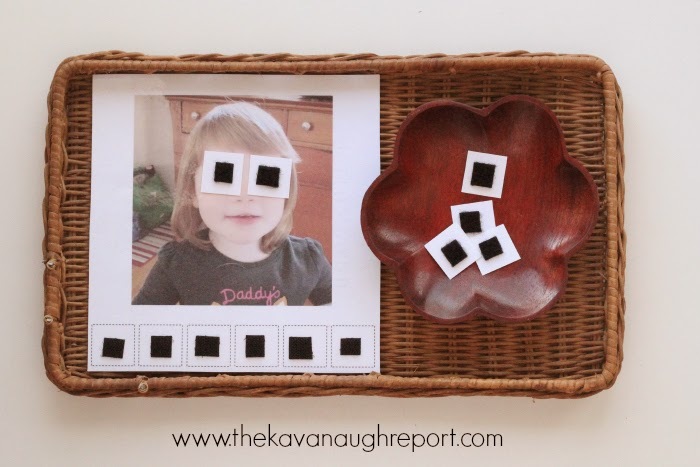 The kids could stamp the circles then clean the sheet. Love the Velcro name idea! I have a whole stash to use up, too! Love your ideas.... as always : ) Thanks! Cute map work! My Henry has been into maps lately too (so strange) so that's definitely a cute idea! I LOVE the egg/egg yolk matching and the map work! I am definitely going to have to make a copy of the egg yolk matching for Easter soon for our tot school. :) I will also have to remember the map work, in case I can ever replicate something similar! Do you sing the Montessori continent song? My children sing it all the time, all the way down to my 3 year old!